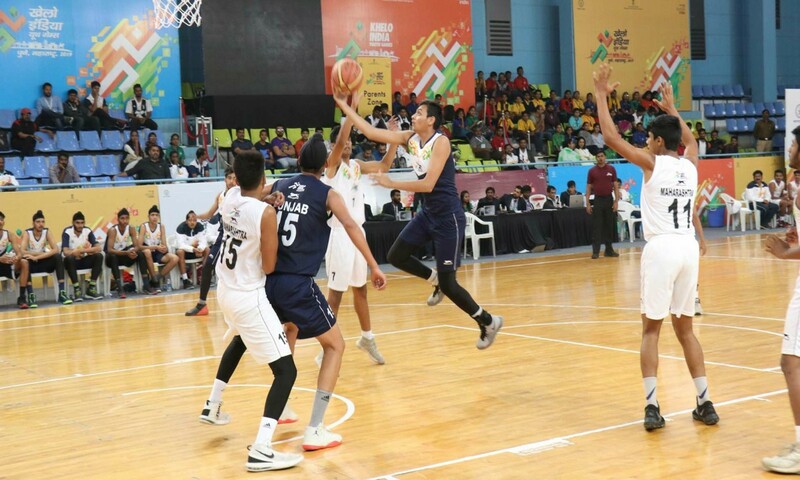 Pune, Jan 17-Defending champions Punjab boys registered their second successive win to seal a berth in the semi-finals of the Under-17 basketball event at the Khelo India Youth Games 2019. Led by a 20-point effort by skipper Rajan, Punjab knocked out hosts Maharashtra 72-48 in a Pool B encounter. In another match, Haryana dominated over Tamil Nadu to win 81-58 to maintain their clean slate and qualify. Both Punjab and Haryana will face off in the last league encounter to decide the group winner. From Group A, Rajasthan downed Madhya Pradesh 88-77. The second spot decider match in the group will be between Kerala and Karnataka who had mixed results on Day-2. In the Under-21 boys section, Kerala (Group-A), Punjab and Tamil Nadu (Group-B) booked their spots in the last-four. Kerala edged Maharashtra in a closely fought encounter which ended 75-73 in Kerala’s favour. Kerala move into the knock-out round. Maharashtra on the other hand will have to wait till Thursday when they play Delhi inorder to secure their spot. In Pool B, both Punjab and Tamil Nadu crossed the 100-point mark to qualify in style. Punjab routed Karnataka 101-56, while Tamil Nadu recorded the highest score of the day by thrashing Rajasthan 116-73.This was their Tamil Nadu’s second successive 100-plus scoreline. In the girls section, the Punjab Under-17s followed the boys in securing a place in the semis from Group B. Punjab put out Madhya Pradesh 75-67 for their second win.